Kids love adventures. Turn your child’s birthday party into an extraordinary adventure for the ultimate party experience. Take your guests into a thrilling Jurassic Adventure. Let them have fun playing various dinosaur-themed games and complete the adventure with an interactive experience with our dinosaurs. Have your kid’s birthday party be visited by dinosaur friends that could bring a lot of fun and excitement to all your guests. Pick the best choice from our various packages for the perfect birthday celebration of your child. The usual party scenario: your guests arrive, enjoy the games and food and chat with other guests. Our idea of a more exciting party: In the middle of the party, T-Rex shows up all of a sudden to turn up the party! Dinosaurs are happy to liven up your party no matter what the celebration calls for. The important thing to make sure you throw the best party is to make it very exciting and unforgettable for your guests. 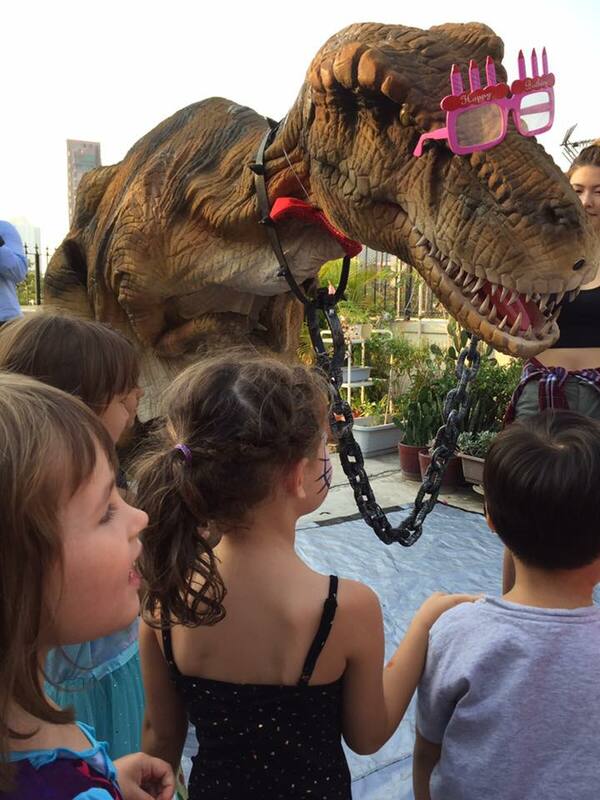 Nothing beats dinosaurs at your event to make it extraordinary and awesome! Click your heels three times together and say "Theres no place like Purple Turtle"